VP207 was 2nd Fury with the Napier Sabre 24 cylinder H section engine. Assembled post war out of spares. 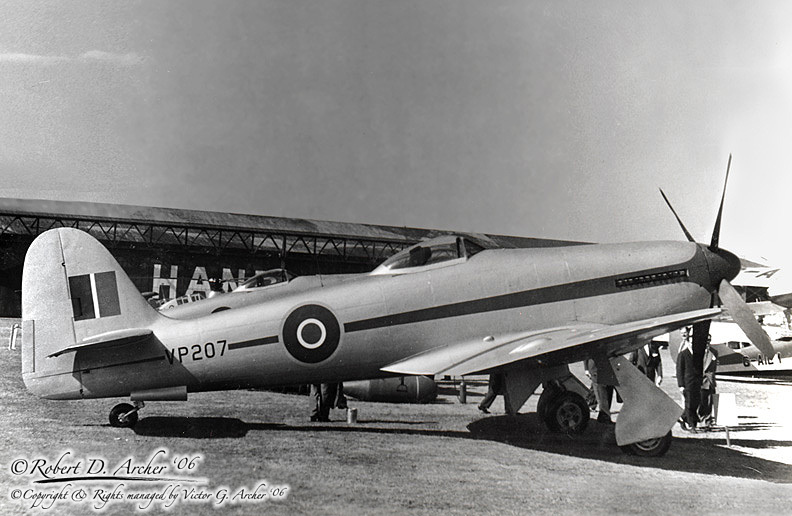 The first Sabre Fury, LA610, was the fastest of all the Hawker piston engined fighters. Pics taken at Radlett, the Handley Page works, in 1947. The Fury is best known in it's naval version, the Sea Fury. European engines turn opposite of American engines.